The new 2m (6.6 ft) IEEE-1394b 9-pin to 9-pin cable, comes with standard 1394b lock connectors on both ends. The cable is compatible with all 1394b screw lock compliant ports and devices. All Unibrain 1394b firewire adapters, support screw lock connectors too. The cable is equipped with high quality shielding and ferrites for the best possible EMI & noise suppression. Top quality connectors with high-density enclosures to eliminate an often under estimated source of noise. Outer shield and inner (foil and braid) ensures compliance with the latest FireWire standards, which reduces radio frequency and electro-magnetic interference. Careful storage and shipment procedures ensure that performance is not affected by accidental excessive bend radius. 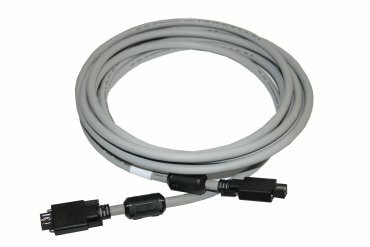 The 1m (3.3 ft) 1394b cable is available with 9 to 9 pin connectors. Outer shield and inner (foil and braid) ensures compliance with the latest FireWire-800 standards, which reduces radio frequency and electro-magnetic interference. 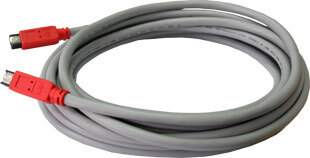 The 4.5m (15 ft) 1394b cable is available with 9 to 9 pin beta connectors (this product) or 9 to 6 pin bilingual connectors (order part #1635).